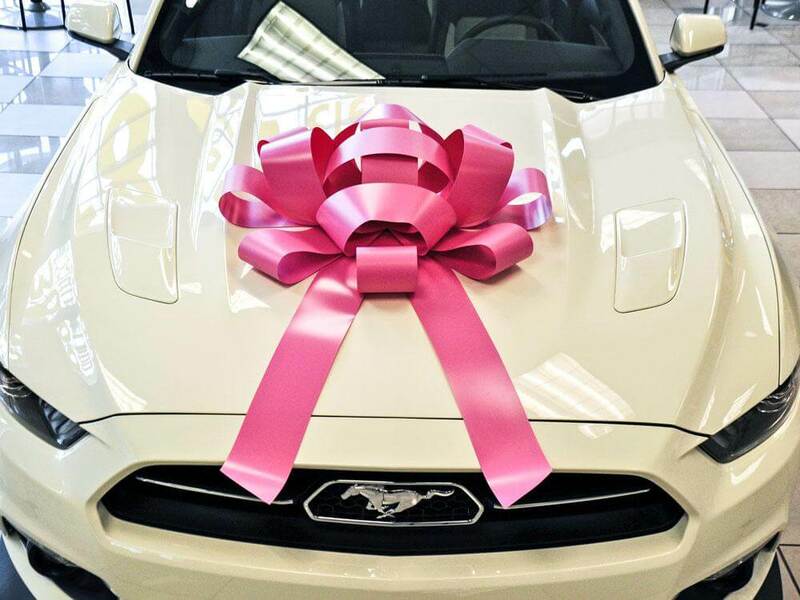 Whatever the occasion, use the Original Large Pink Car Bow to make your gift look truly special. Perfect for birthdays and presents or for improving presentation in your dealership. 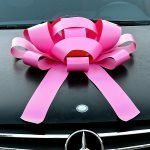 The Original Big Pink JumBow Car Bow ribbon is the perfect way to make a real impression when you are giving a car or another large item as a gift. It looks stunning on any car, and it’s a great way to say congratulations, thank you, or welcome home. You can also use it to improve the presentation of your vehicles in your auto dealership. With its scratch-free magnetic car bow backing, it can attach to any metallic surface, and it is made from durable vinyl so you can use it both inside and outside. 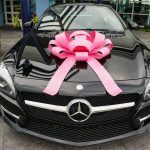 So make your car gift look amazing today, and present it in style with the Big Pink Car Bow. 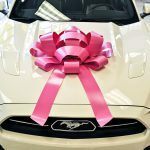 Nothing says “Wow” quite like the Giant Car Bow, so get yours today to present your gift in style. Want to add a special message to your large car bow? We have a range of bows with printed messages already on them, or you can get your bow complete with your own customized message. Check out our JumBow customization service for more info. We have a huge range of car bows in our store in all shapes and colors. Take a look at the Original Big Red Bow, Graduation Car Bow, Happy Birthday Car Bow, Bow with Suction Cup Attachment, and more. 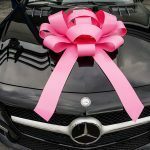 We will deliver your Big Pink Car Bow to your address anywhere in the USA in 1-5 days with expedited shipping. So order yours today and we’ll send it to you immediately.